More than 63,5 thousand fans attended the final match of Euro 2012 at the NSC "Olympic". In addition to the fans who came to the stadium, more than 100 thousand football fans watched the match in the fan-area. According to the Ministry of Internal Affairs, the final match in Kiev attended by 11 thousand of Spanish and 5 thousand of Italian people. Protection of public order in the capital of Ukraine provided 7000 representatives of the Ministry of Internal Affairs. Police officers patrolled the streets of Kiev reinforced squads, which was consisting of five police officers instead of three. 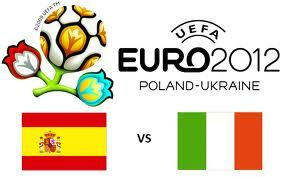 Recall that in the final of Euro 2012 the Spaniards defeated Italy 4-0 in the second time in a row won the European title. The match was played with overwhelming game and territorial superiority of wards Vicente del Bosque.